Home >> Daily Dose >> Is the ‘Brexit’ Effect Wearing Off for the Mortgage Industry? Is the ‘Brexit’ Effect Wearing Off for the Mortgage Industry? With mortgage interest rates spending the last eight months below 4 percent and hovering just above historic lows for the last few weeks, one would think the environment is great to refinance a mortgage. Following an initial spike in mortgage refinances after June’s Brexit vote, however, the data seems to indicate that fewer borrowers are taking advantage of the low interest rates. Black Knight Financial Services’ First Look at Mortgage Data for July 2016, released on Monday, indicated that the “Brexit” effect may have worn off. 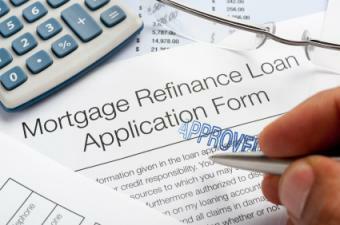 Or many borrowers may not want to refinance—or may not be aware of the current near-record low mortgage rates. Black Knight reported in the July 2016 First Look that the population of borrowers eligible to refinance their mortgage has swelled to 8.7 million and the average 30-year fixed-rate mortgage is below 3.5 percent, but the monthly prepayment rate—historically a good indicator of refinance activity—declined by 12 percent from June to July down to 1.26 percent (and fell by 1 percent over-the-year). The First Look also reported an uptick in mortgage delinquencies in July of nearly 5 percent, up to 4.5 percent, likely due to the fact that July ended on a Sunday and payments made on the last two days of the month cannot be financed until the following month. Hence, Black Knight expects a decline in mortgage delinquencies in August. Click here to view Black Knight’s entire First Look at Mortgage Data for July 2016.